Big news! 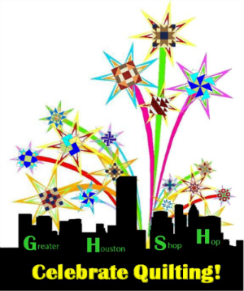 Doug Leko has designed an exclusive pattern for the 2019 Greater Houston Shop Hop! There are 5 optional settings. The pattern for this is a mystery! $14 kits will be available at each of the 9 participating shops. Receive a tote bag and pattern at the last shop you visit on the hop if you have purchased a kit at each shop!